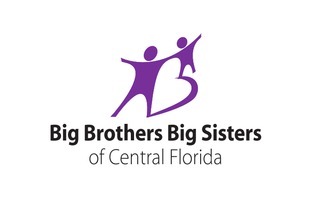 Big Brothers Big Sisters of Central Florida. Members of Big Brothers Big Sisters are Free. There will be a “Most Creative Outfit” contest with a special prize! Q: Where can I register for the walk? A: You can register at our Welcome Hut located at Surfari Water Park. Q: Can you register the day of? A: Yes! You can register all day and even when the event starts if you want to only attend the reception. A: No you do not. Any child in a stroller will not have to be registered. Q: Where is the nearest first aid station? A: It is located across from the Welcome Hut located at Surfari Water Park. Q: Where will the walk start? A: The event will start outside the entrance of Surfari Water Park. Q: Where is the reception after the walk? A: The light reception will be held at Longboard Bar and Grill in Surfari Water Park. Q: Where are the nearest restrooms? A: The restrooms are located in our main lobby and by The Springs Pools. A: The only thing you need is additional water and/or food if you need it on the walk. Also insect repellent or sunscreen! Q: Are there any contests? A: Yes, the winner of the Most Creative Outfit will win a special prize. All outfits must be family friendly - no vulgar images, no overly short clothing, etc. A: No pets are allowed unless there is a medical reason.